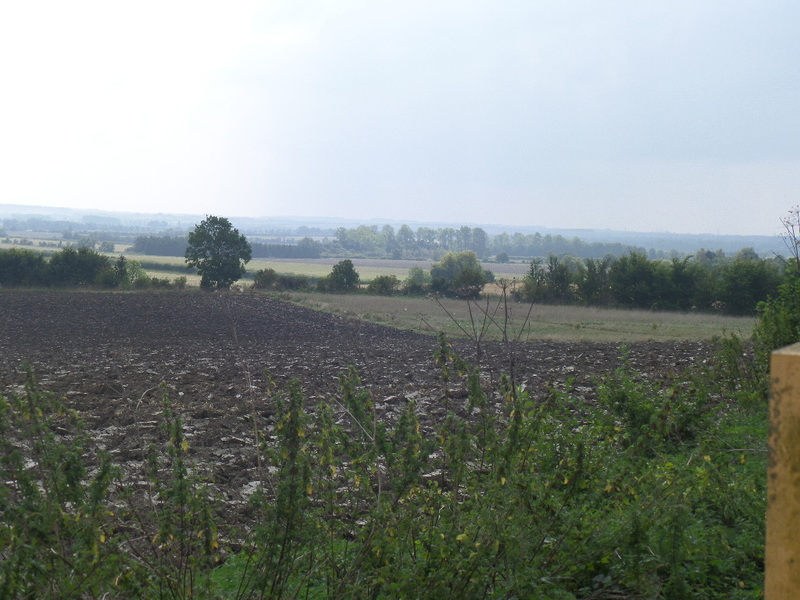 Walking the thin tree line between vast ploughed fields, we were enclosed by a dry and brittle world. 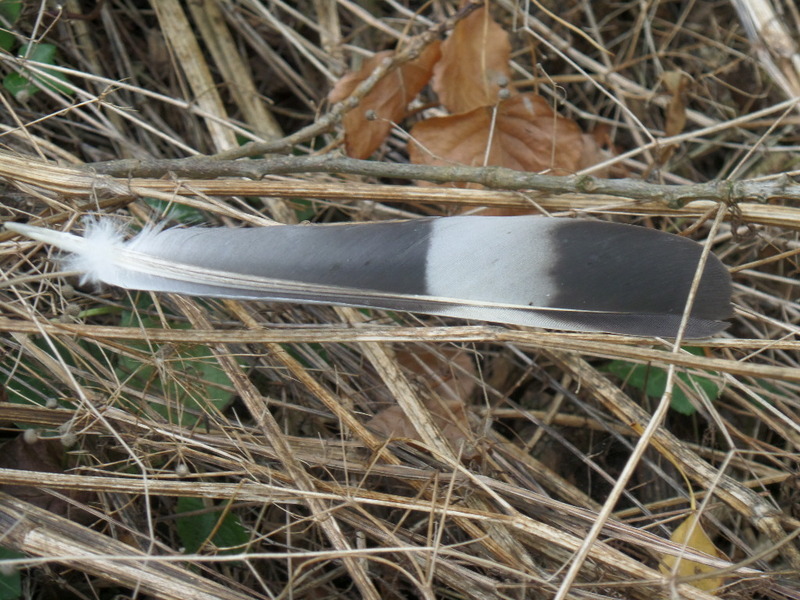 Skeletons of hemlock and cowparsley strewn under our feet, splintered and crunched as we made our way through this miniature wood…little, down white feathers softly snagged and large feathers; owl, magpie, crow and pheasant, indications of a far too crowded headland. 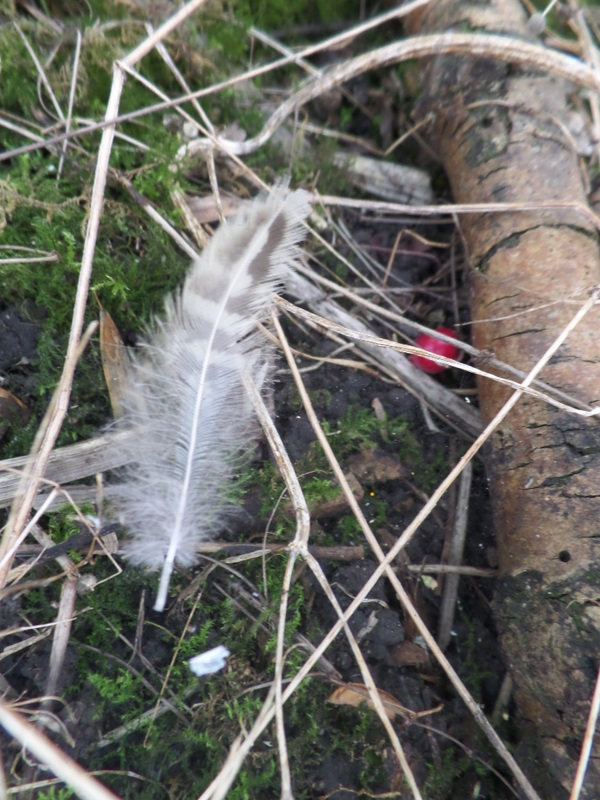 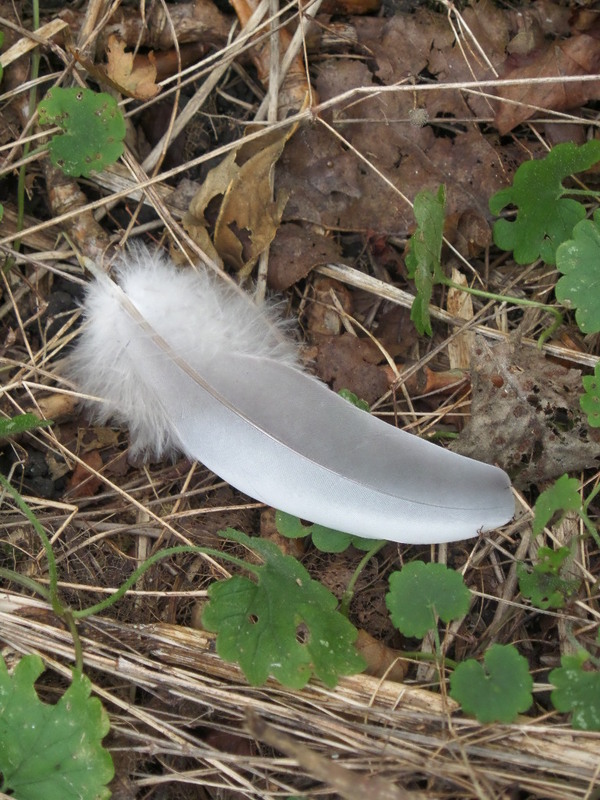 I dreamt that a tree released a feather to me, a large, intensely coloured jay feather, far more alive and luxuriant than the ones that lay bleached at my feet. 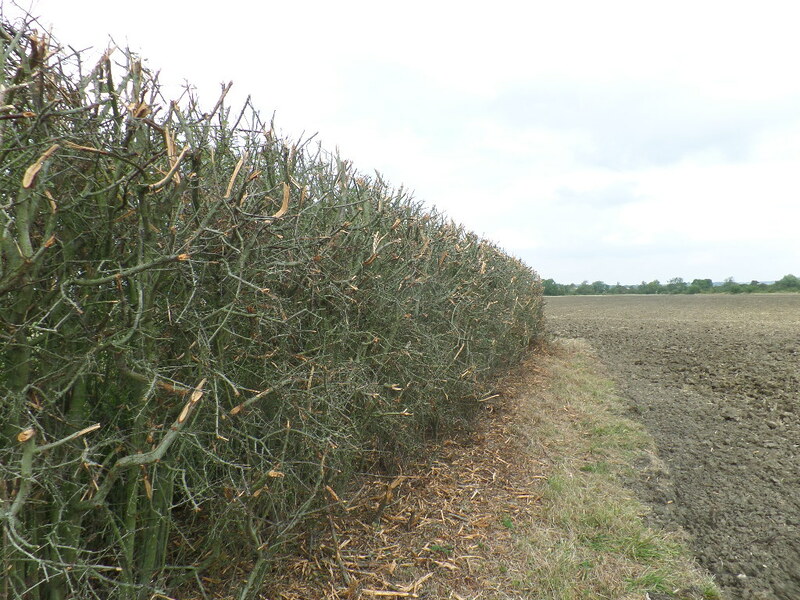 The track was sign posted, a surrendered brown line of flayed hawthorn gave an indication of direction, but the fields, dictated by farming machinery and profit bound farmers had obliterated the crows line tracks that had been created by villagers going to and from work in the fields and their children bumbling to school. 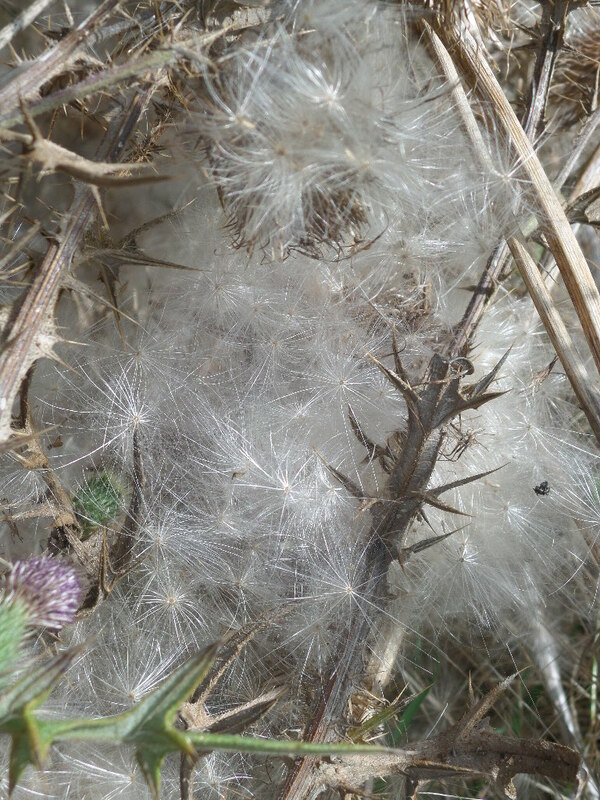 Small shelves of thistle at the extreme edges had been left to balance on. 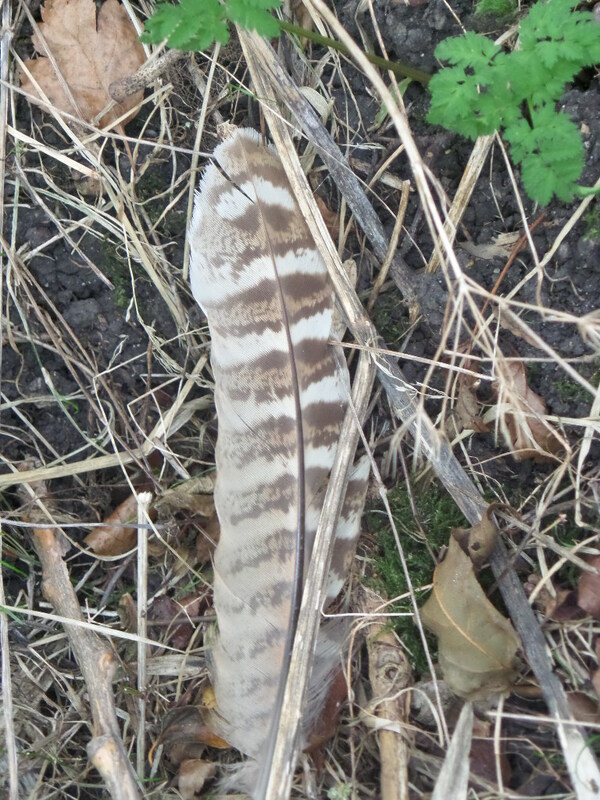 From time to time the branches grew wings as we disturbed a buzzard from his observation posts.